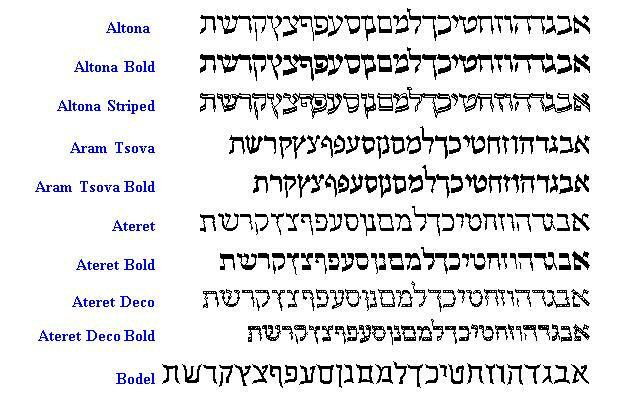 Welcome to the very best in Hebrew font design! Davka's Hebrew Font Gallery Deluxe includes 30 exquisite Hebrew fonts designed by Shmuel Guttman, master font craftsman of Jerusalem. Hebrew Font Gallery Deluxe contains an appealing assortment of unique, high-quality typefaces that will add flair and pizzazz to all of your work. 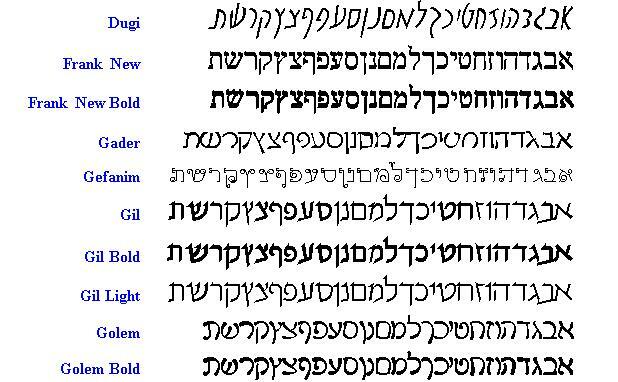 What makes Hebrew Font Gallery Deluxe truly unique is its full complement of vowels and cantillation marks. DavkaWriter users, of course, can easily access these special characters directly from within DavkaWriter. Now, users of non-Hebrew Windows programs can insert these special characters by typing right-to-left in the all-new HebrewTyper applet included with Hebrew Font Gallery Deluxe and cut-and-paste the Hebrew text into their regular Windows programs! 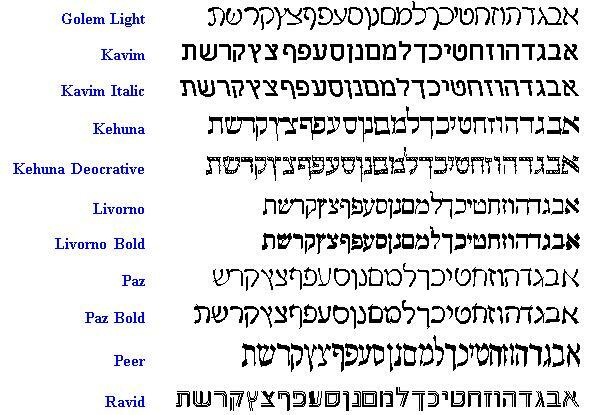 Hebrew Font Gallery Deluxe's Macintosh fonts are compatible with Nisus, the popular Hebrew-English word processor, and can be used with vowels. If you don't have Nisus and are using a standard left-to-right Mac application, you can still enter Hebrew text left-to-right and even enter vowels and cantillation marks for short passages.